So I have a very short Synopsis for the newest Chloe Neill Book Wild Hunger. This book will be released on August 14, its a new sequel Series to Chicagoland Vampires but this Series is title Chicagoland Heirs. Chloe is also doing a contest for this book, which I will be talking about more at the end. 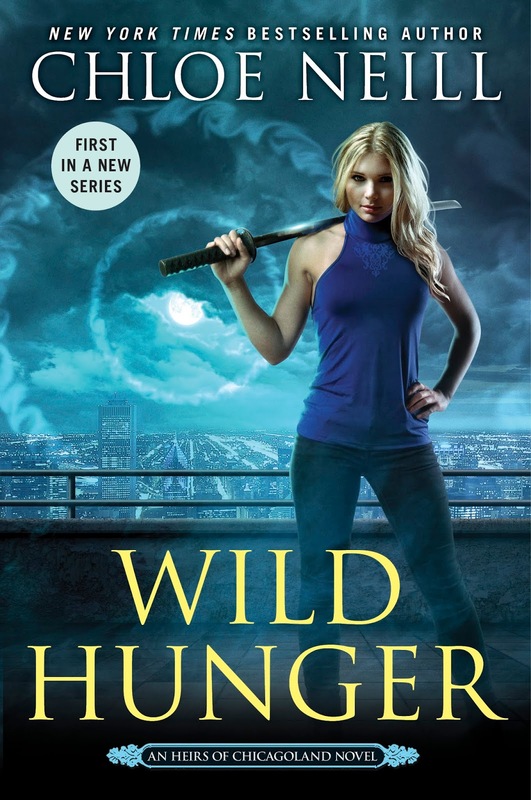 Wild Hunger is the first book in the New Series Chicagoland Heirs. It stars Elisa the daughter of Master Ethan and his Badass Sentinel Merit. They both run Cadigan Vampire House. We also Meet the Conner Keene, son of North American Central Pack Apex Gabriel Keene. They come together in this book to help Solve a Murder. But while working together, Conner and Elisa both realize they have feelings for each other that cannot be denied. But Elisa wants to appear as Strong as both of her parents and as Independent while Conner has to decide whether being with Elisa is the hard way or Easy way. As they work on this murder together they must also help End old Feuds. As a long time reader of Chicagoland Series, I would Suggest you go back and reread or even start reading the Original Series before this One. But if you have been here since the beginning and have read every single Merit and Ethan Book, You should definitely go get Wild Hunger when it comes out August 14th. All the links to purchase the book and for the contest will be below. I will also be back with a full review of this book at the end of this month. As always please follow, sub and Share.